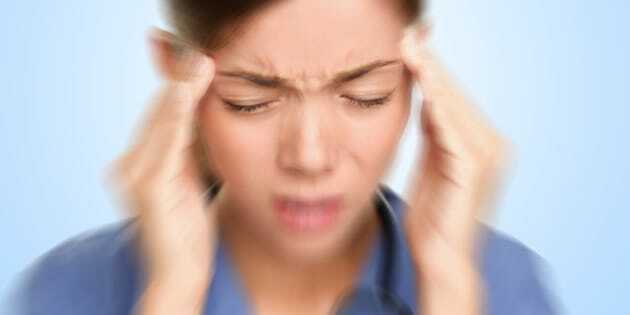 Migraines And The Brain: Are Severe Headaches Hurting Your Brain? There's some relief, however slight, available for migraine sufferers -- a recent study has shown experiencing migraine headaches does not affect cognitive health in the long term. In the most recent issue of the British Medical Journal, a study out of Brigham and Women's Hospital found no evidence of faster cognitive decline among women who suffered from migraines versus those who did not. The findings, which were based on a study following more than 6,300 women, will come as a relief to those who experience the debilitating headaches. In 2007, one study found a correlation between migraines and "tiny transient strokes," a finding that could mean oxygen and blood stopped flowing to the brain for periods of time, killing brain cells and leaving long-term effects. Confusing the matter is where migraines come from -- while there is no one cause, it's possible brain chemicals could be behind the pain, according to the Mayo Clinic. Other studies have even found those who experience migraines have better memories as they age, Time magazine reported, possibly thanks to habits formed to combat the ailment. So the news out of Brigham and Women's hospital is undoubtedly welcomed by the approximately 17 per cent of the population for whom migraines recur. "This is an important finding for both physicians and patients. Patients with migraine and their treating doctors should be reassured that migraine may not have long-term consequences on cognitive function," said Pamela Rist, a research fellow in the Division of Preventive Medicine at BWH, and the study's lead author.